Nucl. Phys. At. Energy 2016, volume 17, issue 1, pages 59-62. Received: 14.12.2015; Accepted: 11.04.2016; Published online: 02.06.2016. Abstract: Predictive assessment of radiation impacts on the air environment, soil cover, staff, which is located in a residential area, staff of an adjacent to the CSSNF enterprises as a result of work to prepare the site for construction of CSSNF at the Chornobyl Exclusion Zone is presented. It is shown that radiation effects on components of the environment will not result in exceeding the reference levels of radiation safety. Keywords: CSSNF, radiation safety, the Chornobyl exclusion zone. 2. Emissions Factors & AP 42. Compilation of Air Pollutant Emission Factors. Fifth Edition 1 (1995). 5. N.G. Gusev, N.A. Belyaev. 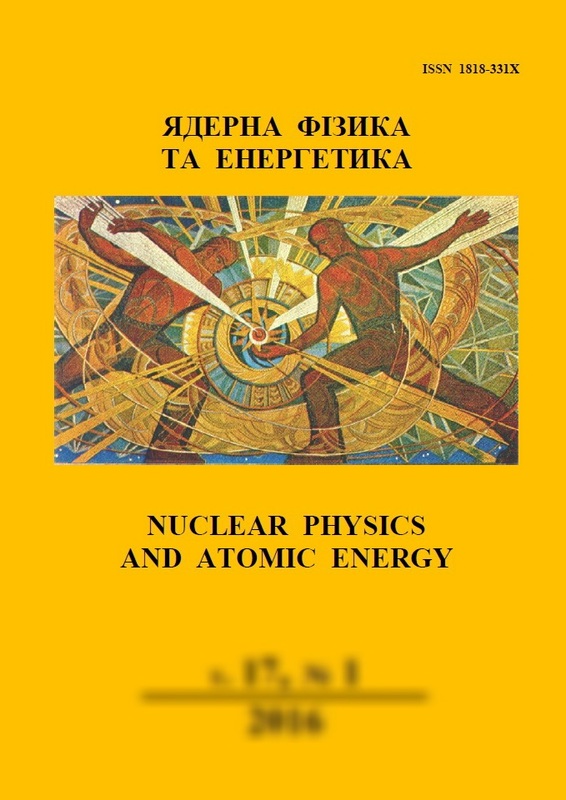 Radioactive emissions into biosphere (Moskva: Energoatomizdat, 1991) 254 p.